Welcome to the second episode of my podcast about crafting. In this episode I talk about my knitting, crochet and spinning progress. I also talk about the embroidery class that I took last Sunday. 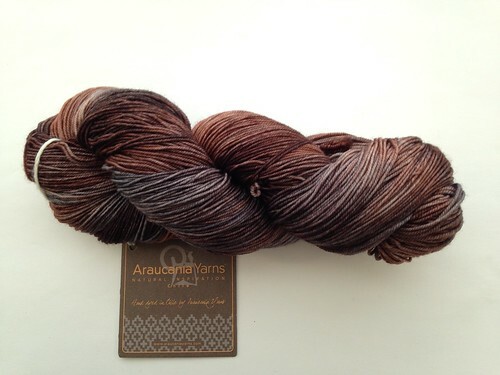 At the end of the episode I show my yarn acquisitions during the last three months. Last weekend I cat on the Messalina shawl by Kay F. Jones. I am using Manos del Uruguay yarn that I had in my stash. 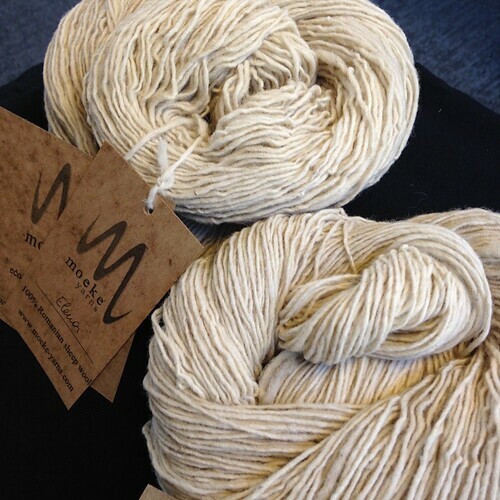 The base is the Silk Blend which has 30% Silk and 70% Merino Extra Fine. This is a single ply yarn and the color is 2458. 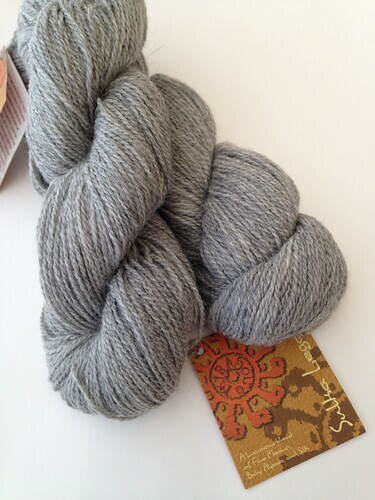 Each skein contains 270m (300yd)/100%. The needle size that I am using is 4.5mm (US 7) and the cable length is 120m (47″). These are my Signature Convertible needles. The third knitting project is the Moto Vest by Knitterly. I am using recycled yarn from a tunic that I bought long time ago and I wore it once. The needle size is 10mm (US15). I am crochetting a granny square blanket that I am making for my niece. For the white and pink colors, I am using the line Lambswool 51 from Phildar, which contains 51% Lambswool and 49% Acrylic. The colors are Lin for the white and Bengale for the pink. I started spinning a braid of fiber from All Spun Up in the color Millefiori. I did not know if they were still in business when I recorded the episode but they still have their Etsy store, Yay! The fiber contains 50% Merino and 50% silk. I am spinning form the braid without pre drafting it. I will spin a single and then ply it using the chain or Navajo method. There is a tutorial in Craftsy that shows an easy way to learn this technique. 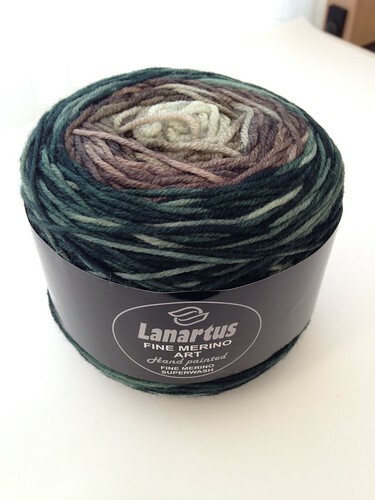 1 cake of Lanartus in their Fine Merino Art base. The color number is 1. It contains 100% Wool, and each cake has 320m (350yd aprox)/100gr The recommended needle sizes are 3.5mm – 4mm (US 4 – 6) It does not have information about the gauge. 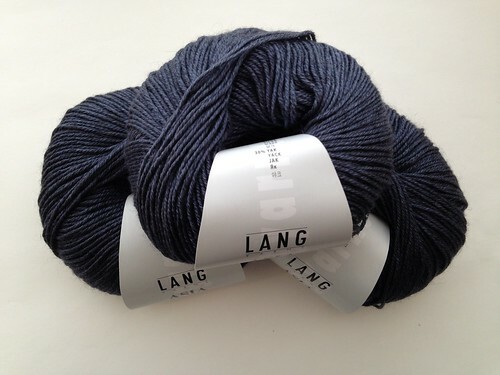 The last purchase was a sock yarn from Lang. 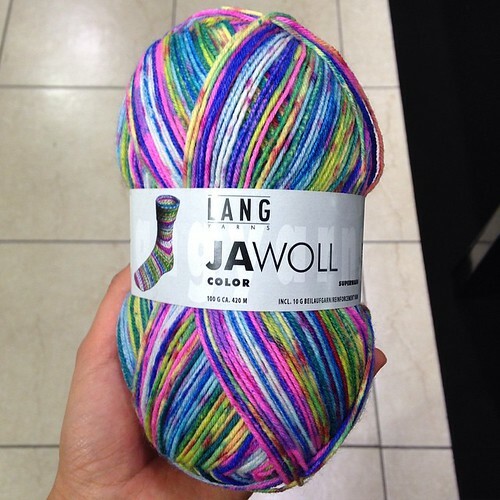 Another JaWoll skein in their color 902.0006. It contains the same properties I described in the WIP section. I am wearing the Simple Shawl by Laura Linneman. I knit this shawlette using my hand spun yarn. The fiber was from Highland Handmades in the White Spruce Top, 100% BFL Superwash. The colorway is Hope. Thanks for stopping by! Leave me any comment or suggestion if you like, and feel free to share this post with your friends and community. Also remember you can follow me on Twitter, Facebook, Instagram, Ravelry, Tumblr, Flickr and Pinterest!